This 360,000 square foot continuing care retirement community includes 245 luxurious independent living homes and three levels of assisted living in a resort-style setting. Wilson Electric was responsible for electrical installation and distribution in the new development and fire alarm installation. 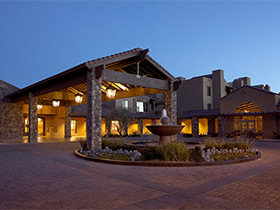 Sagewood at Desert Ridge is a luxury senior housing community in Northeast Phoenix, Arizona. The 85 acre project was divided into two phases. Phase 1 built 300 custom home sites and a three-story health care center with assisted living and memory care. 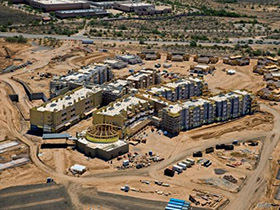 Phase 2 constructed an auditorium, practice golf course and 450 additional homes. Wilson Electric provided electrical installation and distribution for both campuses using Building Information Modeling to provide mechanical, plumbing and electrical coordination. Multiple emergency power and critical power systems were installed. NETSIAN Technologies Group provided nurse call systems.